- Fog is not involved. - Scroll fog is not involved. - Color offset registers are not involved. - Nothing strange with color 0. The palette is actually corrupted. I think the game is either 1) loading the palette from the wrong place, computing it incorrectly (very unlikely that there are any CPU bugs left that could cause this), 2) failing to recompute/reload the palette due to a timing bug, or 3) accessing VRAM in some unusual way (perhaps byte-by-byte rather than the usual 32 bits at a time). I need to examine how the level is loaded. Can you produce save states that are earlier (at the level select screen for example)? 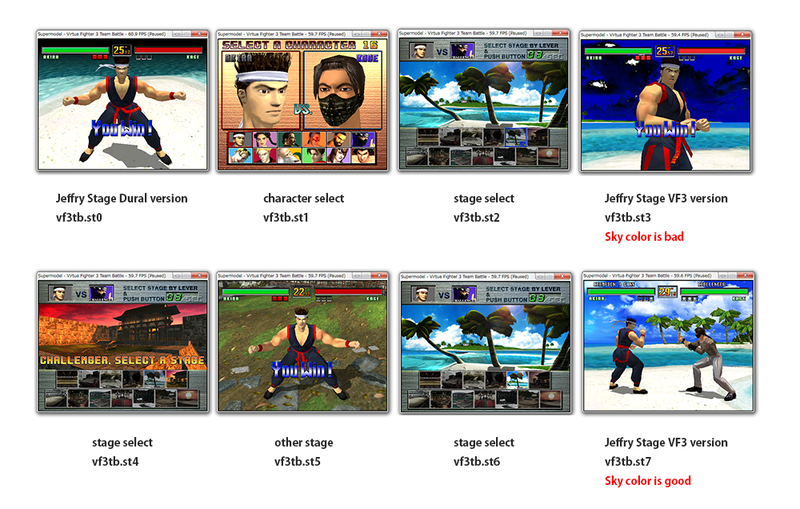 Also, if it's possible, a save state just before finishing the fight on the Dural version of Jeffry's stage. Then give me instructions how to load up the incorrect version of the level. Maybe the same issue as with the Japanese version of scud? Where all the 2d elements are all using the wrong palette? 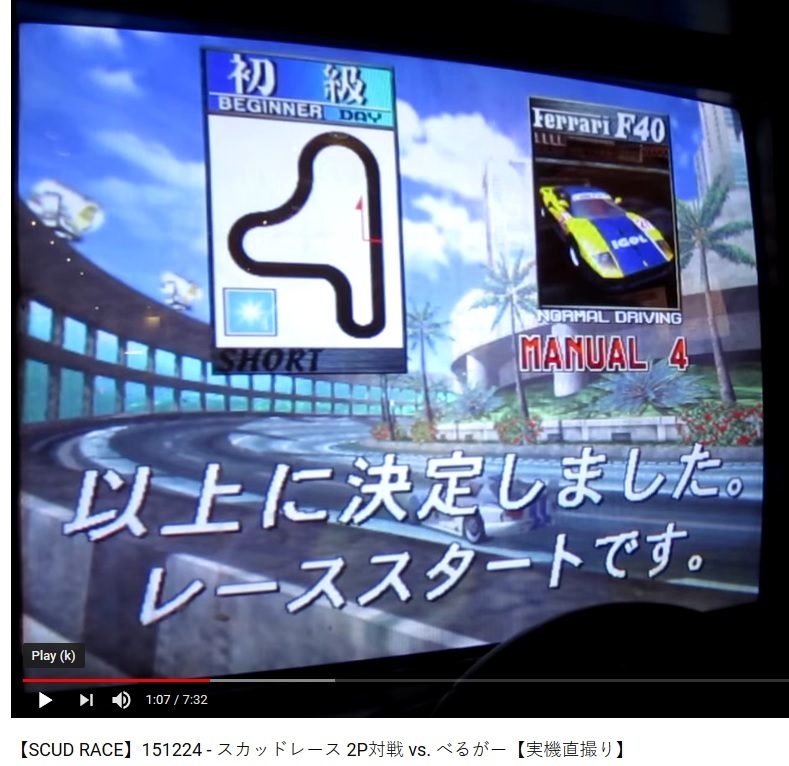 I just noticed something interesting in scudj: after the course is selected, there is no level loading screen ("decided like this"). I don't know if this is how it was on the real machine or if this also an emulation bug related to timing or something like that. Bart wrote: I just noticed something interesting in scudj: after the course is selected, there is no level loading screen ("decided like this"). I don't know if this is how it was on the real machine or if this also an emulation bug related to timing or something like that. I just tried save state #2. I held down the Player 2 start button ('2' for me) until it began and it looked normal. Can you try it with your save state as well?